Home / GEMSTONES / How to Consider Gemstone Weight ? Gemstone weight, what is the correct weight to wear? This question has been repeatedly tormented our client. Gemstones are an effective piece of remedy and a person can feel its effect almost immediately after wearing it. To know the correct weight and size of a gemstone one should consult an esteemed practitioner of Vedic sciences and wear appropriate gemstone weight, to get desired effects and significant results. 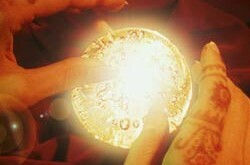 People tend to discuss with the shopkeeper and wear gemstones of fewer weights. This can prove to be harmful and may result in adverse effect on the life of the native. In order to benefit from the gemstone, one shall discuss and consult from an experienced astrologer to avail maximum benefit from it. Gemstone weight plays key role in providing benefits to the native.I have personally witnessed people face problem and even extreme troubles due to the fact that they wear heavier or lighter gemstones. Gemstones shall be considered like medicines and we all know that by just taking right medicine, does not solve entire problem. One must know right time and amount to solve the problem completely. Same is the case with gemstones weight, so one should wear appropriate weight of gemstones in order to avoid side effects and get maximum benefit from them. For better understanding of gemstone weight, we shall see that many benefic planets must be placed in such combinations in almost all the horoscopes, that they can produce better results when a certain amount of extra energy is provided to them. One should not do this with the case of positive planets also, as if positive planets get extra energy, they dominate and interfere in effect of other planets and thus create problems. Let’s take another example of vitamins, we take them to fill deficiencies and provide body some extra energy but taking them too much is not good either, for body. Appropriate weight of a gemstone will provide the required strength to a benefic planet which is weak on one account or the other whereas a much heavier weight for the same gemstone can start causing problems for the native. Hence gemstone weight shall also be considered along with suitable planet’s gemstone. Let’s consider now about quality of gemstones, people tend to buy cheap gemstones which are of low quality and expect the same result. It should be noted that gemstones require certain minimum efficiency to produce significant results and this is where the quality of the gemstones must not be compromised along with gemstone weight. Gemstones absorb energy through upper surface and transfer that energy through lower surface to the native’s body. Let’s understand this with examples, gemstone Ruby will typically attract the energy of Sun from its upper surface and it will then transfer this energy into the body of the native wearing this gemstone, through its lower surface. Quality of gemstone along with gemstone weight play important role in transferring energy from upper surface to lower in gemstone. Other then gemstone weight another factor that hinds gemstone’s effects are the impurities present in them like linings, dots and clouds where clouds form the worst kind of impurities and all these impurities block some part of gemstones. This means that when energy radiations enter the gemstones through the upper surfaces and they travel towards the lower surfaces of these gemstones, the impurities present inside gemstones block their path and do not allow them to pass through. Hence these energy radiations do not travel to native’s body and prove of no use. Apart from transferring a higher percentage of energy into native’s body high quality gemstone transfer energy to planets having different wavelength and frequency which is not possible by gemstones of low quality. 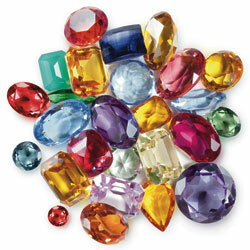 One should therefore consider gemstones quality along with gemstone weight to avail maximum benefit. 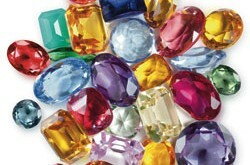 Cheaper gemstones may be of as low as 10 % in frequency and hence the money goes wasted and not saved.